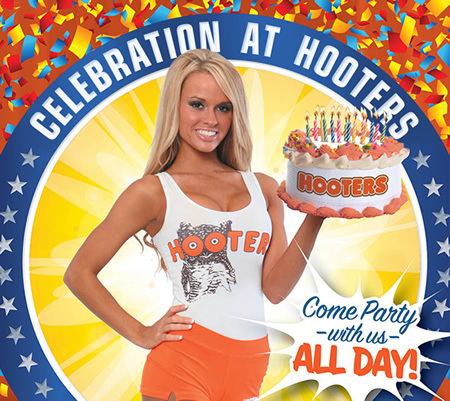 HOOTERS is the best place to celebrate your big occasions, such as birthdays and anniversaries! Our famous HOOTERS Girls will offer a fun birthday chorus as well as a photo-taking session for free of charge. Birthday cake is also available to make our occasion even more special. Please contact each location for details and reservations.